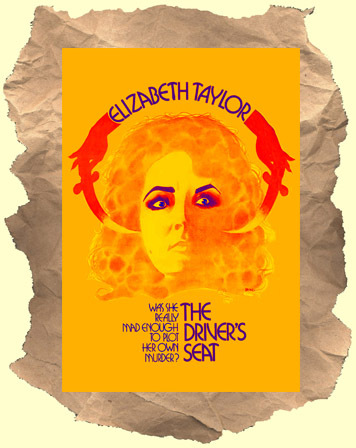 SYNOPSIS: This Italian import could well contain the strangest performance of Elizabeth Taylor's career. Dumped into 'bargain bin' status it may in fact be a cult film waiting to be re-discovered. Taylor's character is a mentally disturbed (depressed) woman who is on vacation in Rome seeking both a true love and perhaps her own death. In that respect it shares a similar idea to the very overlooked Downloading Nancy from 2008. Many scenes have an off kilter view to them as if we're seeing the world through Taylor's warped mind. Flashbacks, bizarre dialogue and some eye-popping costumes (and make-up) on Liz add to the weirdness. Photography is from Oscar winner Vittorio Storaro (Malicious, Apocalypse Now). Pop art icon Andy Warhol has a quick scene. Unlike a lot of the cheapie vhs and dvd releases - the quality on this one is quite nice!